Do you struggle with teaching math in your homeschool? I do. I hate teaching math. There. I said it. Actually, anyone who knows me knows this, as I have been searching for the perfect curriculum that would solve all our math woes since my oldest child was in 1st grade (she's in 8th this year). I can do math, most of the time, but I don't teach it well. I have one way that I understand it, and if the children don't understand it that way, we find ourselves at an impasse. This has not made for a pleasant experience for any of us. I've learned (finally) that I have one child who learns math a little differently than your average bear, and I need to figure out how to help her with it. I've decided that THIS WILL BE THE YEAR in which we conquer the math monster. We've been using another program that teaches on the computer, and while my children liked it, I could see that it wasn't giving them enough mathematical depth, if that makes any sense. 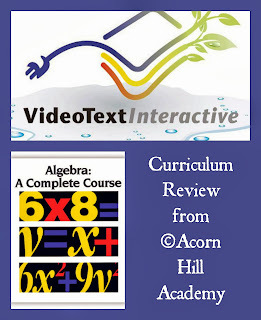 When I received the opportunity to review Algebra: A Complete Course from VideoText Interactive, I jumped on it. 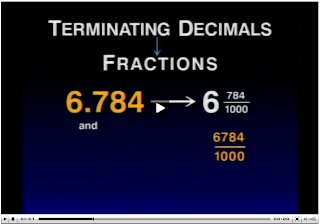 I watched this sample video and learned WHY dividing fractions works the way it does, and I was sold. 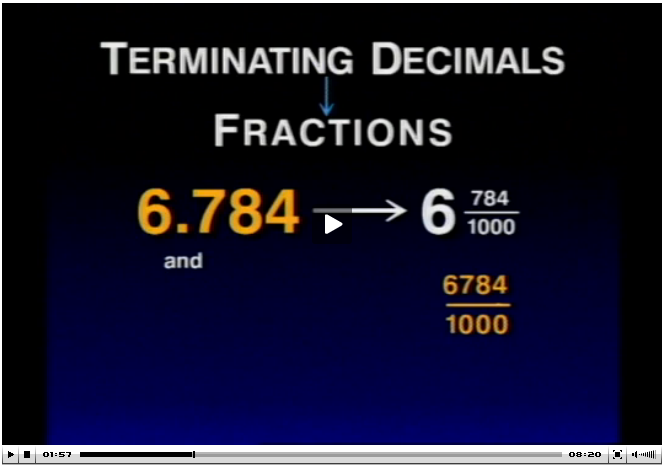 I did learn to divide fractions when I was in school, of course; I knew how, but never why. It might sound silly, but this was a huge revelation for me! Each concept is taught through a video lesson, during which the student watches the instructor talking, as well as watching visuals of the concepts as they work through them, which replaces watching a teacher write on a blackboard. It's recommended that you sit and watch at least the first few videos with your student, stopping frequently to ask them about what they're learning and talk with them to be sure they understand. That, right there, is key - having your student narrate what they're learning back to you. Brilliant! I have been watching the videos with the girls when I can, but often I'm hanging out with my 6 year old, so the girls come to me when they are working through their problems for each lesson and we talk then. Each video lesson is 5-10 minutes long, so the lessons themselves are short - a perfect fit for our Charlotte Mason homeschool. This is not a typical algebra program. 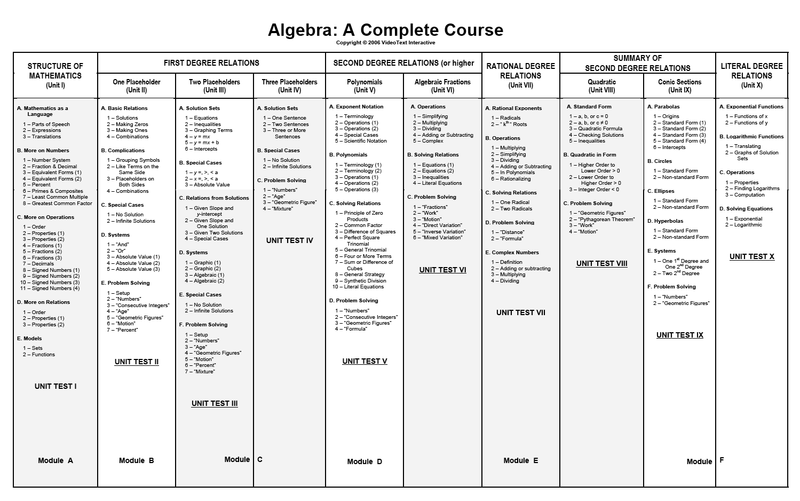 When a student completes Algebra: A Complete Course, they can claim credits for Pre-Algebra, Algebra I and Algebra II. They do not use a traditional scope & sequence for teaching the subject; they teach with a mastery approach, going through and re-teaching arithmetic concepts and explaining why things work the way they do, then going on to apply those concepts to algebra. The folks at Videotext recommend this course in general for 8th or 9th grade students, but if you feel your child is ready at a younger age, you can certainly start them in this program. Take a look at this video to hear Tom Clark, author of the program, explain how to know if your child is ready. When you log in as the instructor, you have the option to print entire files for each unit, or print them out per lesson. It really depends on how you organize your students. I have one friend who gives her children binders with their daily work, so she puts their worktext pages in that binder, but prints out the course notes and bound them separately. I don't have daily work binders, so I chose to print all the course notes for the entire program and put them in one book, and print out the worktext for Unit 1 and put that in a binder by itself. Obviously, they are not privy to handy things like the answer key. 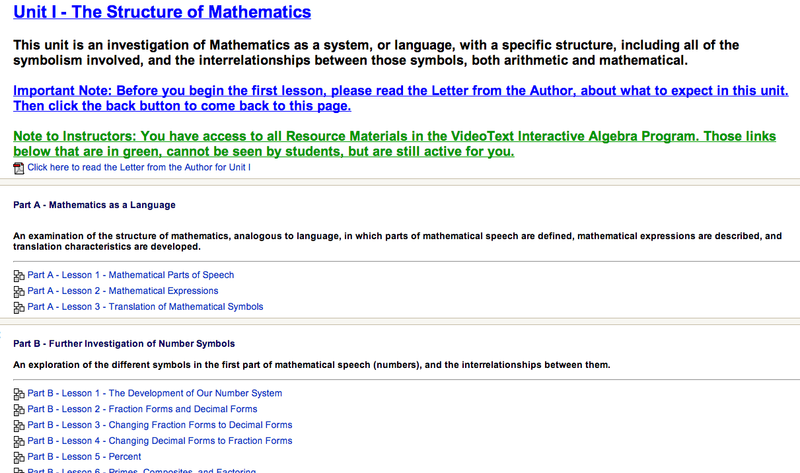 They have links to the video lessons, and the teacher is responsible for printing out any required documents for them. One thing I like is that each time they click on a new lesson, they receive a prompt that tells them to be sure they've taken the quiz for the previous lesson before they begin. That's a handy little reminder for both student and mom! I'm not going to lie: this has been a challenging program for us. I am faced every day with how much math I've forgotten. I thought pre-algebra would be a breeze, but I'm constantly referring to the answer key to figure out how the questions should be answered, or how something is supposed to work. When they say they don't teach any shortcuts, they aren't kidding, and apparently I learned a lot of them. I am learning things from the ground up, just like they are. I think the best approach is going to be for me to watch each lesson the night before and work through some of the problems. Hopefully by doing that I will be able to help them when they have questions, and sound like I know what I'm talking about, rather than figuring it out on the spot. My oldest child, who doesn't like math much, is being forced to think, and that is a GOOD THING. I can already tell she's learning a lot from this program. She said to me the other day, "I guess that's why they made me learn all that fraction stuff, eh?" I do think she enjoys the work, because she's finally learning the "why" of math. She never saw the point before, and now I think she's beginning to see. My younger daughter likes this program very much, because it IS challenging. She likes math, and enjoys working through the problems. I actually had her skip a year in our other math program, because it was too easy, and I knew she'd pick up whatever she needed to know from Videotext. That has proved to be true. Today she learned how to factor, and she picked right up on it and finished her work. She did ask me if it's really necessary to go through all those steps just to simplify a fraction. I told her it is! This really is an excellent math program, and we're going to continue on with it. 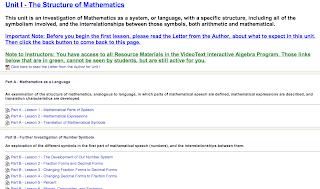 It's available from VideoText Interactive for $299, which is a great price for what is essentially three years of math instruction. 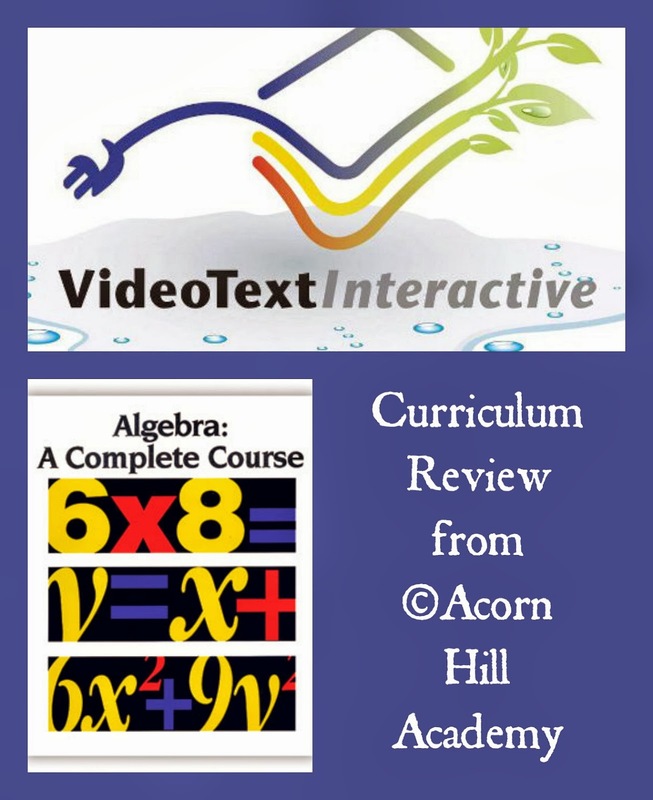 Click to read more reviews from the Schoolhouse Crew on VideoText Interactive's Algebra program, as well as their Geometry program. Schoolhouse Review Crew : Join Us!